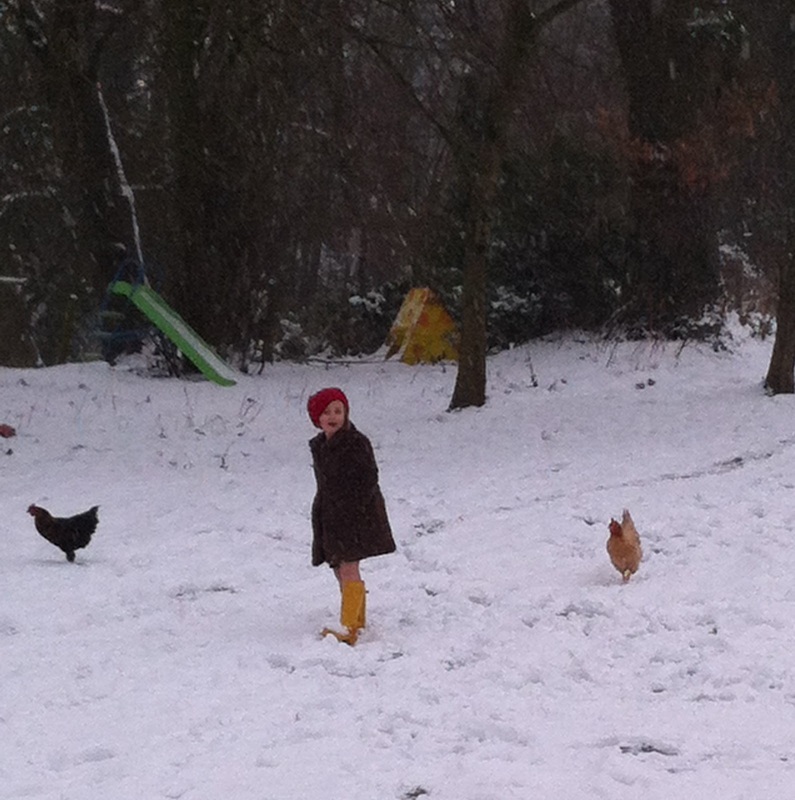 didyoumakeityourself: Fur Coat and No Knickers - Almost! 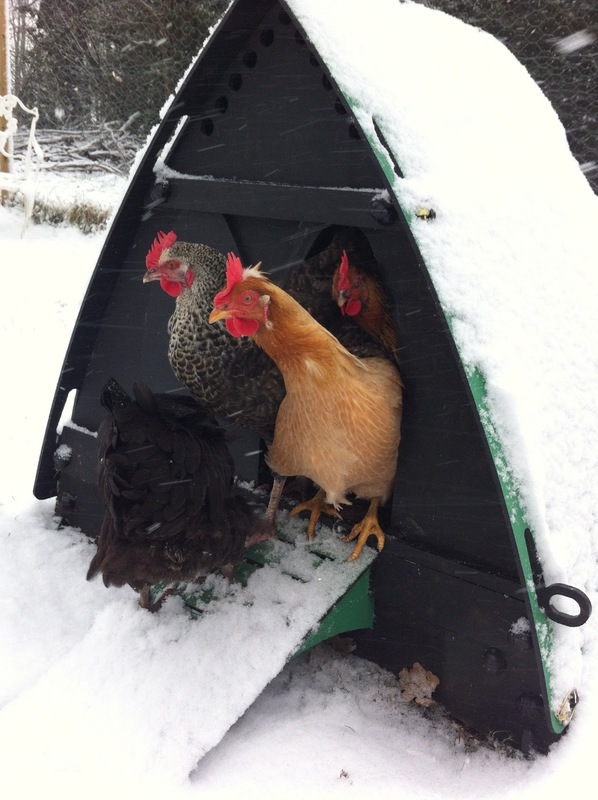 Gertrude (bottoms up), Astrid (gold), Sally Hope (speckled) and Hepzibah (bringing up the rear), don't think much of the snow but are getting used to it - four eggs a day. At first they didn't want to leave their house but once they got there feet in they were okay. 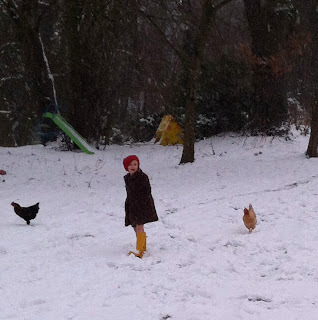 Don't know what era Miss Bell is from, here she is trying to engage the chicks in a game wearing a fur coat, bare legs and wellies.